Dubai, UAE, October 15, 2018: This collection is ready to copilot the diverse lifestyles that make up today’s world with timekeeping competence that never leaves things up in the air. HUGO Watches Jump “squadron” has eight distinguished members. Sleek silver stainless steel meets grey, blue and black color schemes with an emphasis on stylish integrity. Black, blue or grey IP bring an edgy angle to the overall view of competence and credibility. Symmetrical cockpit styling includes two sub dials placed one above the other, while minimalistic markings serenely eliminate the need for numerals. Camouflage disc backgrounds, stitched rubber straps and vibrant red detail offer additional confirmation that he or she who dares wins. This is timekeeping for high-fliers. The versatile family combines classical color and material combinations with some eye-catching variations for the individualist. 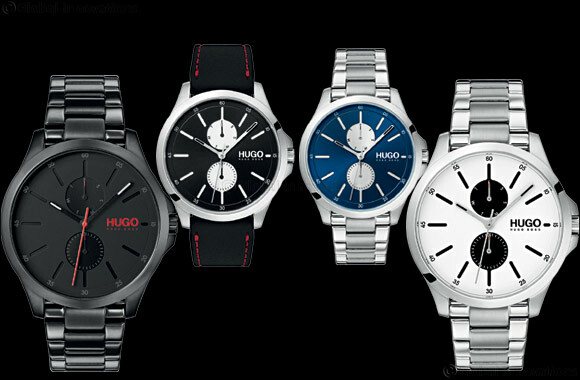 The price for the Hugo Boss Jump collection ranges between AED 795 – AED 1245. The collection is available across Hour Choice stores in the UAE.